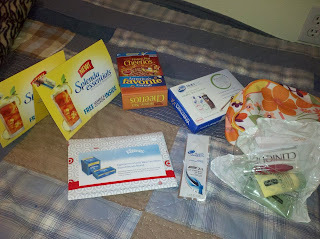 So it has become a bit of a hobby for me to find lots of awesome freebies, as my readers already know. Well, it's been a while, and I've accumulated some pretty sweet deals. Take a ponder below. What your eyes are beholding is the stuff dreams and cozy nights in are made of! 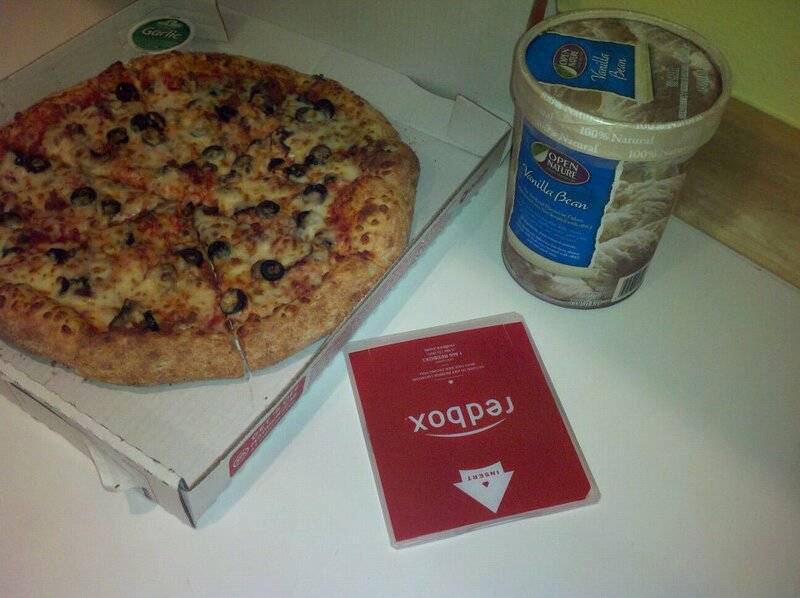 Free large Papa John's 3-topping pizza, vanilla bean Open Nature ice cream, and redbox rental. And what do we have here? Two sample packs of Spenda essentials, Honey Nut Cheerios, Dial moisturizer, Clinique gift with purchase from Macy's, Head & Shoulders shampoo sample, and Kleenex Cool Touch tissues. I take pride in my freebies, and the free diner and movie night was a total score. In the upcoming months and year ahead, I will be working diligently to bringing down my overall spending. Does that mean that I can't have fun and enjoy myself? Heck to the no, ladies and gents! I'll just have to work harder to stretch my dollars and save those pennies. By the end of 2012, it is my goal to have put away $5000. And you, dear readers, will be along for the journey.